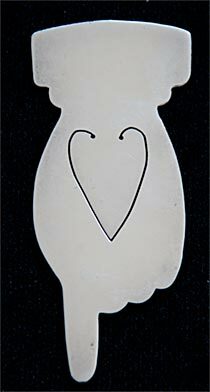 This bookmark was made in Birmingham, England by Chrisford and Norris. it is hallmarked for Birmingham 1905. 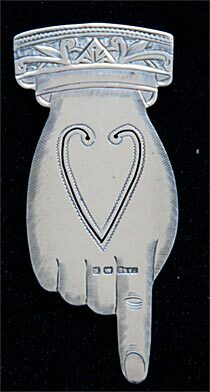 The bookmark is in the shape of a hand with the index finger pointing down.